which is causing financial losses to all the logistic chain. Certifications issued by different agencies are mandatory and all the agencies demand the payment of fees in order to carry on inspections. Therefore, a recurring problem is a system failure that prevents the user to emit the tax payment. Failure of payment is enough for the local agencys to not approval the vessel to berth. Another recurring issue has to do with the ANVISA’s (sanitary inspection agency) payment system – DATAVISA, which detects the slip payment have been paid. The system takes days to certificate that the payment has already been made, what may cause enormous financial losses, especially in weekends and holidays, when the banks are closed. If the system does not indicate the taxes are paid, the sanitary agency does not proceed with the inspection, which prevents the emission of certificates such as the Certificado de Livre Prática (CLP) "Free Pratique" and the Controle Sanitário de Bordo (CCSB/CICB), which are mandatory for larger ships on international voyage. Unfortunately, the sanitary agency does not accept an alternative proof of payment: if the system does not show the taxes have been paid, the inspection cannot be carried out and the vessel is not authorized to berth. Nonetheless, fortunately, the Judicial Power have acted fast and effectively, including during the emergency regime, issuing preliminary orders, determining sanitary agency to consider the payment made, allowing the continuation of the inspection procedure. With effective juridical measures, financial losses are avoided. 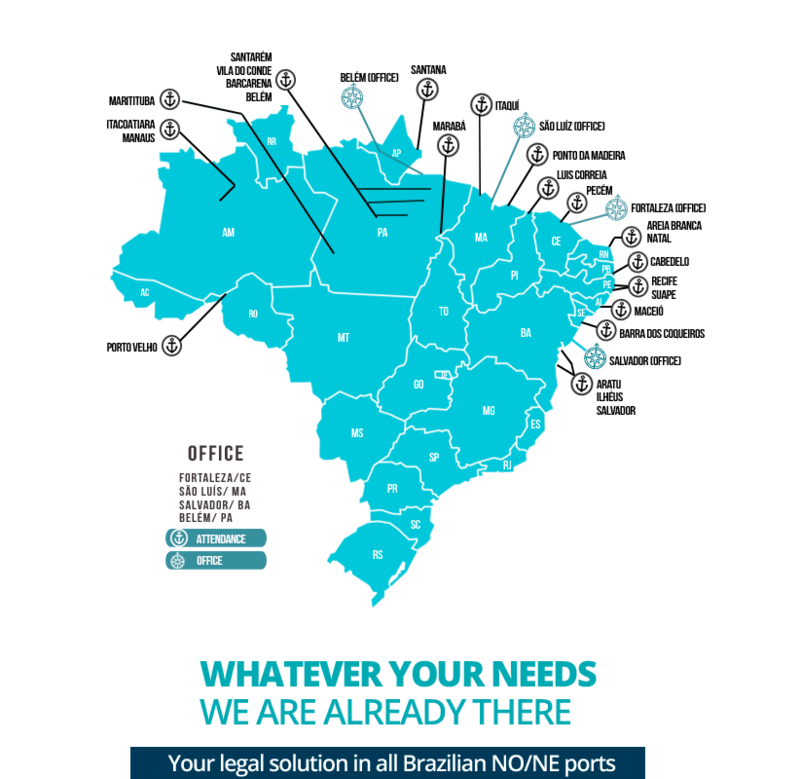 Shipowners, charters, shipping agents, with all their rights protected, escape unharmed of any delays during ship voyages and berthing in brazilian ports. Click here in case of urgency!